Shake! Rattle! 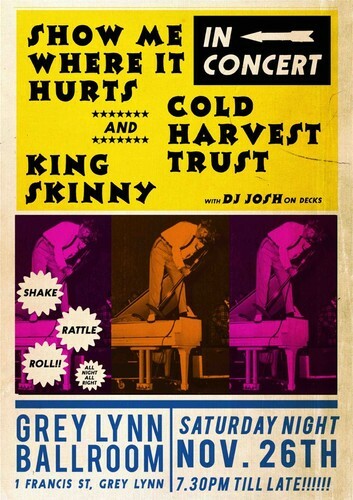 Roll - all night long with Show Me Where It Hurts, Cold Harvest Trust and King Skinny (feat. Tom Rodwell) live at the Grey Lynn Ballroom.